PETALING JAYA: Employers have dismissed calls by a former immigration department official to freeze the intake of foreign workers from Bangladesh as a means to tackle corruption in the recruitment process. Che Hassan Che Johan had urged the government to stop the intake of Bangladeshi workers to stamp out corruption among agents, employers, enforcement authorities and government agencies. Che Hassan, who once headed an association of former immigration officers, identified Bangladeshi agents as the main culprits in corruption, saying they brought illegal workers into the country for at least RM3,000 per head. These workers would then be offered to local agents or representatives of employers, he said. However, the Malaysian Employers Federation (MEF) and Federation of Malaysian Manufacturers (FMM) said the problem was not the recruitment of Bangladeshis but the lack of transparency in the process. MEF executive director Shamsuddin Bardan warned that stopping the recruitment of workers would not resolve the issue of corruption. Instead, he recommended that the government eliminate third-party agents in the recruitment and management of foreign workers. “Foreign workers need to be recruited on a government-to-government basis,” he said. FMM vice-president Nathan Suppiah meanwhile said the group had always encouraged its members to deal directly with the immigration department instead of going through agents. “Merely putting a stop to bringing in foreign workers is not the right way as industries still need these workers,” he said. The Malaysian Trades Union Congress (MTUC), on the other hand, welcomed Che Hassan’s suggestion, saying a freeze should be implemented until a fair recruitment policy can be hammered out between Putrajaya and Dhaka. 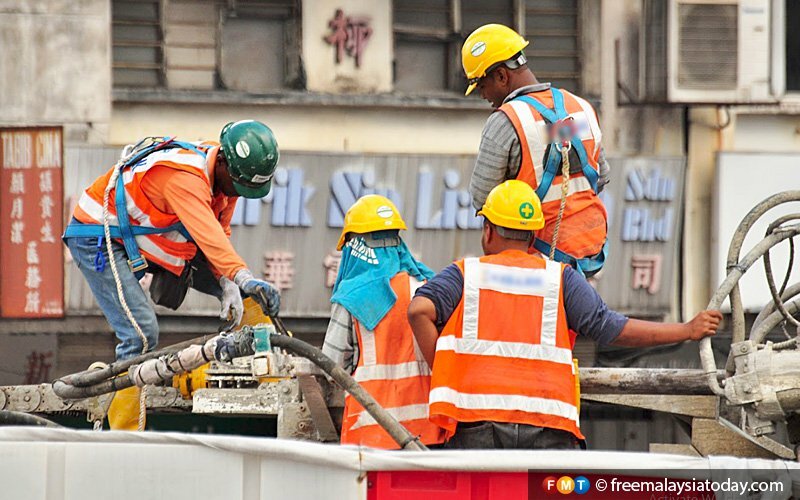 “Such continuous employment does not augur well for Malaysia as it undermines the security of our country and leaves a lot of room for exploitation,” MTUC secretary-general J Solomon told FMT. He also urged the government to explore ways to legalise undocumented foreign workers so that they can work here if they are not sent back to their country. “The practice of rounding up illegal foreign workers and detaining them periodically has not found a solution,” he added. Solomon also called for greater action against employers who continue to hire illegal workers. He acknowledged that this might not be a silver bullet, but said it could at least reduce the numbers of illegal workers.